We often get asked what do you do on a daily basis? So here is a day from our diary from last week. 8.30am: Today we are looking for a property for a couple who wish to move out of London. They contacted us via Livechat on our website. The couple are looking for a 3/4 bedroom house in a small town or village with good access to London. They need a school place for one child and a nursery place for the other. The search criteria includes a house with character and a good sized garden in a friendly community. I check through today’s viewing schedule to confirm there haven’t been any changes overnight and respond to any emails before heading out of the office for the day. The rental market in particular moves very fast so there can often be last minute changes to factor in. 10am: Pick up the couple from Beaconsfield and spend five minutes grabbing a quick coffee and running through the proposed itinerary. 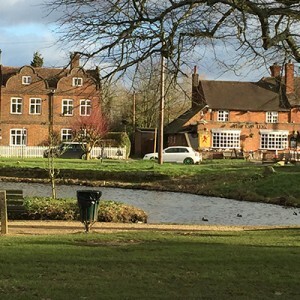 We start off by driving through the picturesque village of Chalfont St Giles with its quintessential duck pond and onto its larger neighbour Chalfont St Peter with its bustling High Street. Pointing out local schools and social amenities and drive down a few residential roads to give a feel for the area. 10.15am: First viewing of the day is in Chalfont St Giles. Today we are looking at some purchase options and also some rental options. The couple are undecided as whether they would like to rent first and settle in the area and then start looking to buy a house or whether to buy straight away. However, a lot depends on what we see today as to which avenue they chose! This property is within walking distance of the village and the local primary school. 11.00: Drive to Old Amersham where I point out the choice of historic pubs (one where Four Weddings and a Funeral was filmed) and independent delis and coffee shops in beamed locations along the High Street. 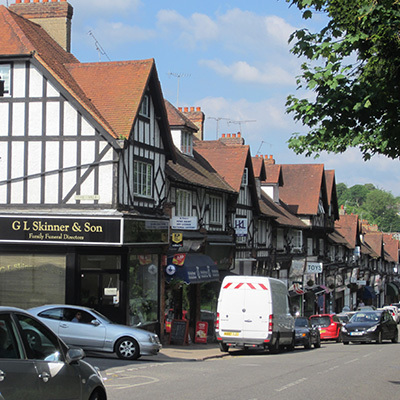 Then we head up the hill to Amersham New Town with its bustling High Street, sports complex and train and tube station (train time to Marylebone of 39 mins). We view a house for sale which offers a good scope of accommodation but would require some internal work. We then view a rental proposition within walking distance of the Old Town so that the couple can understand what they can get within their rental budget. 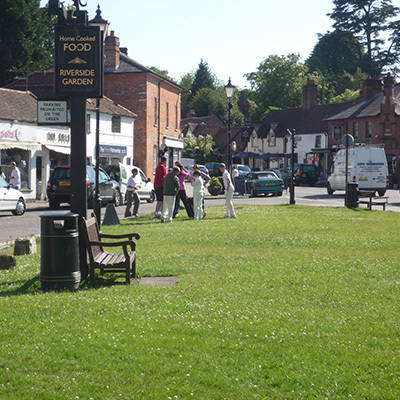 12.00: Back in the car we head towards Great Missenden and Prestwood. The schooling options are popular here with a range of well rated primary and secondary schools. We view a large property in the village and the couple are surprised as to how much living space they can get for their money. 12.30: Drive through the picturesque Great Missenden and grab a sandwich to have en route. Sadly no time for a stop at a country pub this visit as we have a packed schedule and the couple are keen to see as much as possible. 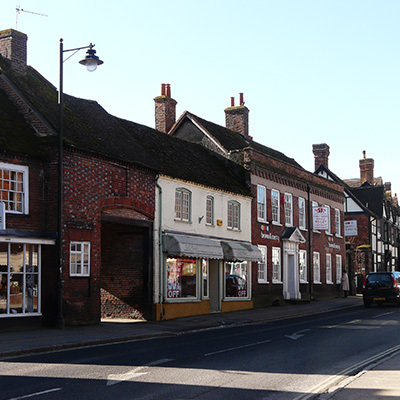 1.30pm: Next town to visit today is Thame, a thriving and historic Oxfordshire market town. The closest train station is Haddenham and Thame parkway with a commute time of 43 mins. 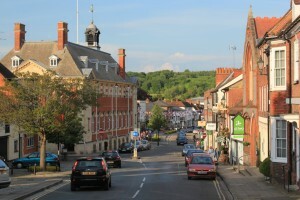 The couple really like the buzz of the town with its theatre and wide range of shops. We view a property within walking distance of all the towns’ amenities. It is a good option but doesn’t quite tick the box in their desire for a character house. We spend a bit of time driving around the area for the couple to get a real feel for the town and point out the local schools and grab a quick coffee. 3pm: Last viewing of the day is in Penn. 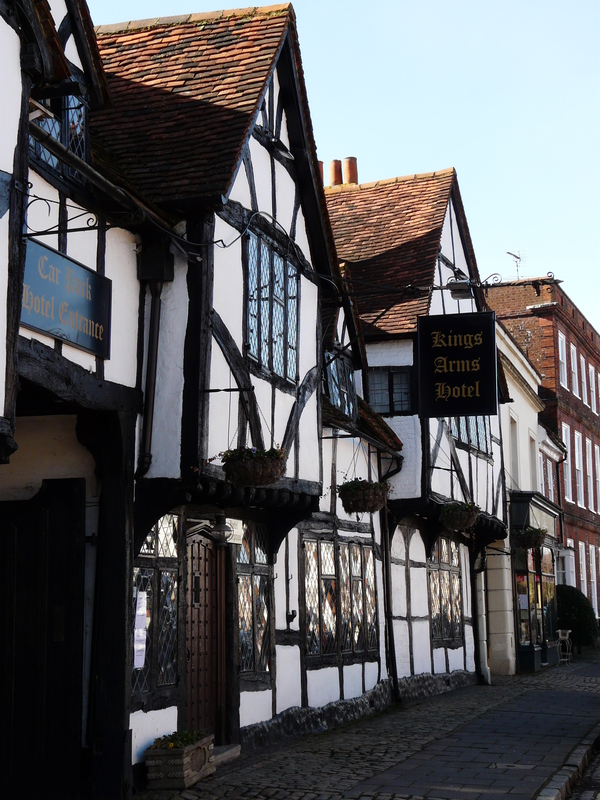 We drive through Wendover which is a beautiful town nestled at the foot of the Chiltern Hills. We admire the quaint buildings and historic High Street. As we near Penn and Beaconsfield no tour day is complete without popping into my local pub The Royal Standard of England – the oldest Freehouse in England dating back to Saxon time. Though we don’t have time to enjoy the amazing food – or drink – due to the packed schedule the couple love seeing this amazing piece of history. We arrive in Penn and our last viewing is a big success. A house with character, a 120ft garden, and fully refurbished interiors. At just 2 miles from Beaconsfield with its train station (commute times of 23 minutes to Marylebone) and range of shopping options, Penn offers the rural dream combined with convenience. On our way back to drop off the couple spot Slades Garage. A self-confessed car enthusiast, the husband pops in to admire the selection of classic and modern cars ranging from Aston Martins to Bentleys. 5pm: Debrief with the Estate Agents giving feedback on today’s viewings, final check through emails and then home after spending a day with really lovely people always uplifting.